A couple weeks back we posted a bit of an experiment we decided to call Hot Wheels Trivia. It was pretty simple idea involving a picture of our recently purchased Hot Wheels and your ability to recognize and name the cars in the picture. We were pretty impressed with the majority of answers as most were spot on. But for those who don’t know already, the correct answers to the first Hot Wheels in question were a Nissan 370Z, a Dodge Viper SRT-10 ACR, and a Ford GT. New Viper Revealed In Two Days But Could This Rendering Be It? AJ on November 16, 2010 at 10:14 pm. Mmmm, I like! 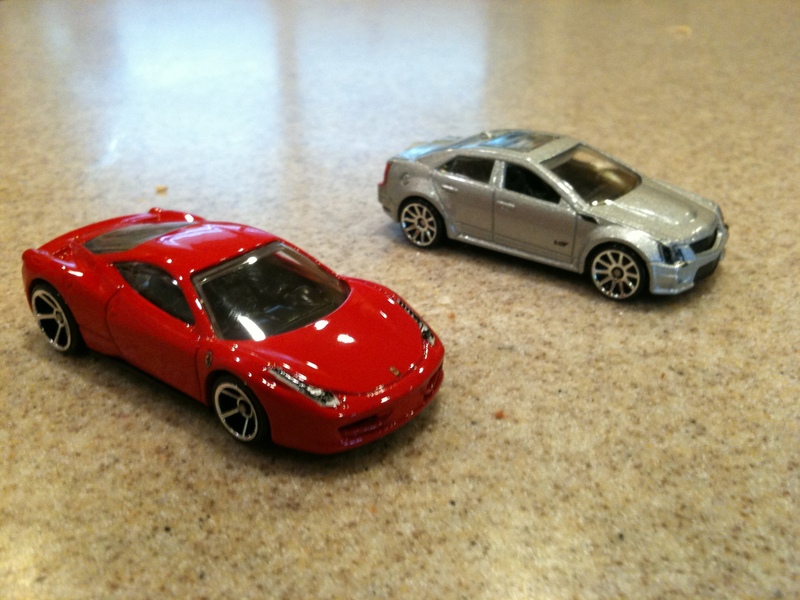 Looks to be a Ferrari 458 Eeeetaly and a V-powered CTS. Shah on November 16, 2010 at 10:50 pm. Rick Radcliffe on November 17, 2010 at 6:35 am. Chad Waite on November 17, 2010 at 7:18 am. Ya, I’ll take a look at Rick’s site. I don’t think you missed anything though. It’s just a picture of the new Hot Wheels that I get over the week and you have to name them. nnIf you want something a lot more challenging, just wait for the next round- it’ll be damn near impossible.